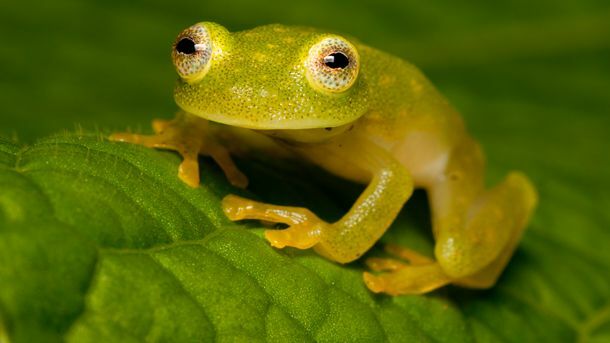 Close-up photo of a yellow-green frog. Fleischmann's Glass Frog (Hyalinobatrachium fleischmanni) is found throughout tropical Latin America. This specimen was spotted in Cusuco National Park, Honduras. New real-life glass frog looks just like our favorite Muppet!